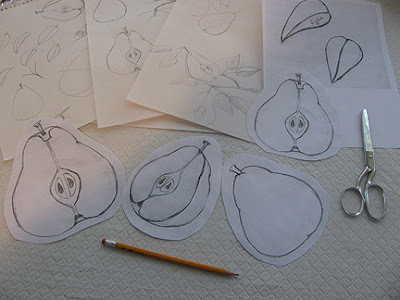 I love the sketches (of course, there is something very sensuous about pears). I especially love the cut ones. I look forward to watching your progress on this one, since I loved your tomato quilt. But that's just the thing, Sherri...I have practically NO sketching talent at all. By looking at the items for a long time and simplifying them to their basic components, even I can do it! 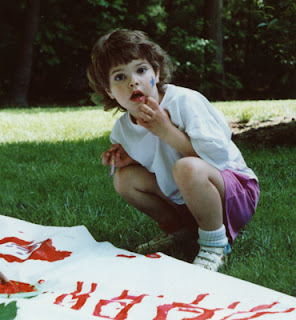 I loved-loved-loved the tomato quilt. I think I told you that already. You say you're not a great sketcher, but you sure are a great abstracter. You sense what the essential elements are to represent the whole. I will try staring more. LOL.